Global software giant Microsoft launches its Office 365 cloud-based service to businesses in India, which the company says will provide seamless sharing of data across PCs and mobiles using cloud computing technology. “Office 365 unlocks social and mobility scenarios that will allow businesses and individuals to take full advantage of cloud computing” said Bhaskar Pramanik, Microsoft India’s chairman. “It gives them the freedom to do things, when, where and how they want,” added Pramanik. Office 365 is one of the fastest growing services globally for Microsoft, since it was launched in 2011. Since the solutions are cloud-based, users can access their mail and files through a variety of devices like desktops, laptops and mobile phones and work on projects while on the move, Pramanik said. 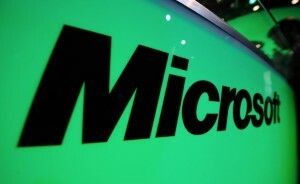 With a customer base of 2,000 in India, including the likes of Bombay Dyeing, Microsoft is increasingly popular in India. Sales of its business software are faster in India than anywhere else in the world. Companies can use Office 365 for $6-22 per user per month and it can be installed on up to five devices for a single user under the Office 365 licensing. “After 18 months, one in five of Microsoft’s enterprise customers worldwide use the paid service, up from one in seven a year ago,” Microsoft India general manager (customer and partner experience) Ramkumar Pichai said on the growing user base of Office 365. The seamless capability of the suite across multiple devices – tablets, PCs, phones – makes its value all the more compelling, he added. The launch is a part of Microsoft’s comprehensive cloud services strategy. Office 365 provides all the enterprise solutions on a flexible usage and payment model, along with security and simplified IT management. Enterprises like Lupin, Godrej, Tata Communications, AEGON Religare, Tata Elxsi, FICCI, SIRO Clinpharm, Unilog, Dabur India, Adhunik Group and Infiniti Retail are already using Office 365.